Home / Apache / HTTPS / SSL is Becoming the Standard – Finally! 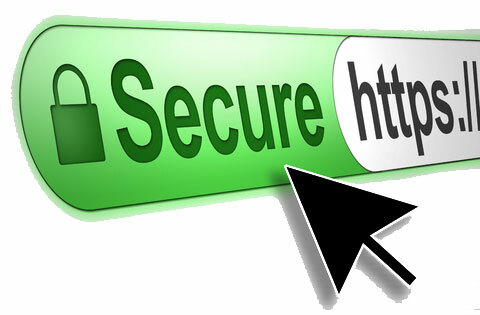 In 2014, Google announced that it would start considering whether a website used SSL in search results. But, it wasn’t required, and it barely affected SEO. But, with 2017 approaching, quickly, if you are not running your site with SSL, you really have no excuse anymore. Starting in January, Google Chrome and other browsers will start warning users if a site is insecure. This means users will leave your site thinking it is a danger (and it is) to them. In the past SSL certificates cost as much as $2,500, but in recent years, they have dropped to $4.99 a year. But, along with cost, users have to deal with the complicated process of approvals and installing. But, there’s good news. It’s really easy now (with most hosts) to install a free SSL that’s endorsed by Google, Firefox, and other industry big-shots. Because most people use WordPress for small sites (if you have Joomla, dump it now – it’s a massive security risk), I’m going to give you the basics for moving your WordPress site to SSL. Most people use CPanel/WHM. 1. Login to your CPanel, and in the security section, look for “Lets Encrypt SSL” or “AutoSSL.” It’s the same, just some hosts use a different name, depending on the version of their software. 2. Once you click on “Lets Encrypt SSL” or “AutoSSL,” you will see a list of you domains, and a link by each that says “issue.” Click it. It’s really that simple. You will be issued a SSL certificate, and it will be installed on the domain. If it asks if you want it on SNI, say yes. 3. In CPanel, launch PhpMyAdmin, and export your database. This is important in-case you need to restore. Keep this backup. 4. Now, login to your WordPress, and go to Plugins. Click “Add New” and install “Better Search Replace.” This will allow you to search for, and replace your non-ssl with your ssl domain. Example would be old-domain: https://www.dwdonline.com, new-domain: https://www.dwdonline.com. Make sure to search with and without the www, and make sure to uncheck the “dry-run.” This will allow you to update your site’s database without breaking the theme. 5. Go to Settings > General and make sure your web address has the https. 6. Let Google know. Do a search on Google for articles about changing your domain in the Webmaster Tools.